In the major arcana of tarot (the first 22 cards) the 0 card in the Angel Tarot Deck is The Dreamer. 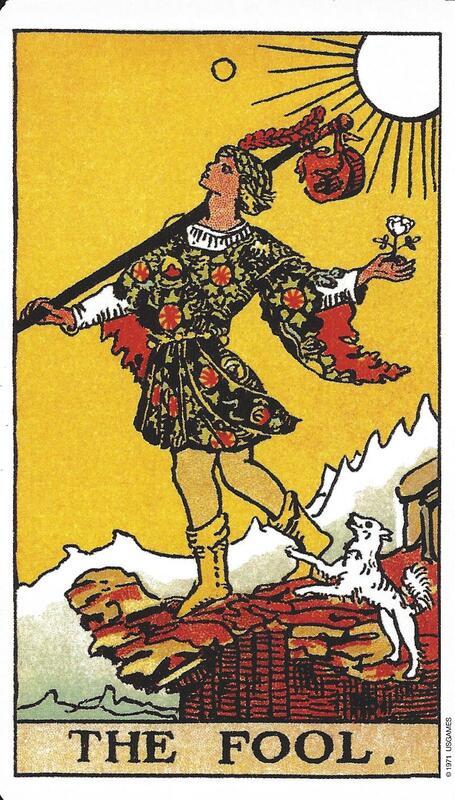 In the Rider-Waite Tarot Deck , the 0 card is The Fool. The symbolism of both cards includes youth, wonder, adventure, and faith. The young man is on a journey. He has faith that the Universe will protect him as he begins a new experience accompanied by his faithful companion, the dog. Dogs love to go for long walks so that they can sniff and check out every sight and smell along the way. If you draw this card it often signals a new opportunity. It encourages you to take a leap of faith and trust that the Universe will have your back. 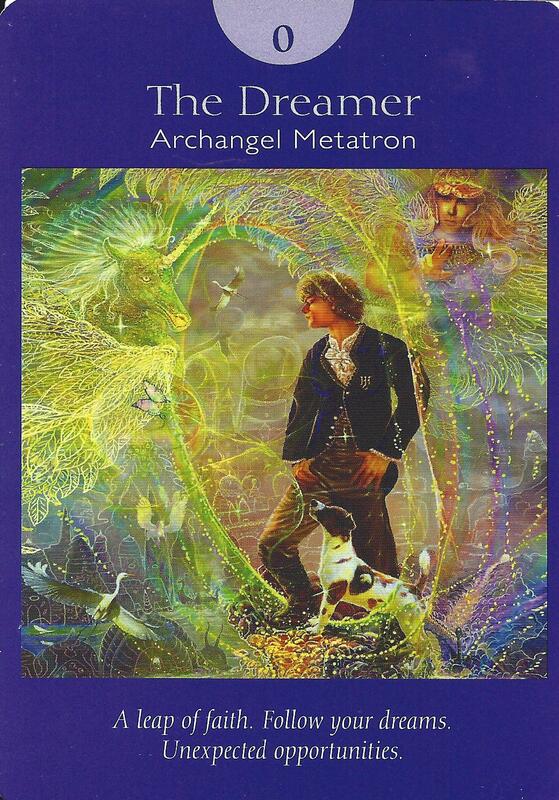 The Dreamer card is associated with Archangel Metatron who is known to assist the young in age or spirit. If you are beginning a spiritual journey, know that Archangel Metatron is by your side waiting for you to ask for help should you need it.